Busch Gardens Tampa has just released the lineup for their third annual Food & Wine Festival. Did you visit the festival last year? It looks like there are some fantastic musical groups set to headline the event. Based on my past experiences visiting Busch Gardens Tampa, this looks like a not-to-be-missed event! Tampa, Fla. (Jan 12, 2016) – A world of taste awaits at Busch Gardens Tampa Bay’s third annual Food & Wine Festival, returning this spring for an extended nine weeks of chart-topping artists and culinary masterpieces. 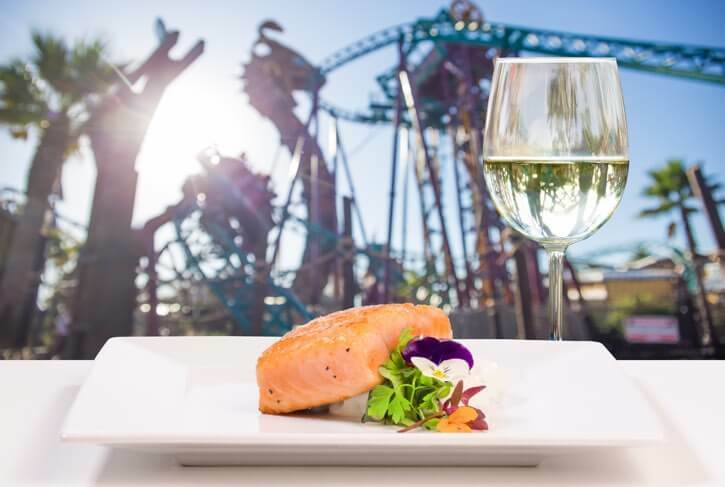 The popular Tampa Bay food and wine festival is included with any Annual Pass, Fun Card or daily admission to the park and runs Saturdays and Sundays, March 4 through April 30. Saturday, April 8: Coming Soon! Saturday, April 15: Coming Soon! Saturday, April 29: Coming Soon! Sunday, April 30: Coming Soon! For a limited time, buy a Busch Gardens Fun Card and get an Adventure Island Fun Card FREE! For those that want even more VIP offerings, the Annual Pass offers unlimited admission all year, free parking, no blockout dates and special benefits totaling more than $300. With EZpay, Annual Passes start at just $14 per month for one park, and $16 per month for both Busch Gardens Tampa Bay and Adventure Island.